The New York Times carries an article today on how universities are investing in nanotechnology start-ups and California's university research centers, small companies and venture finance firms are collaborating in this area. 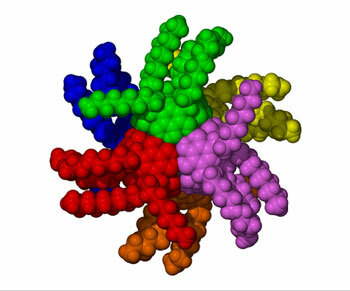 The University of Queensland's Australian Institute for Bioengineering and Nanotechnology and the Nanobiotechnology Center (NBTC) at Cornell University in the United States are working together to develop new products and techniques that will promote new medicines, develop the next generation of biofuels and improve human health and quality of life. A new method for capturing significantly more heat from low-temperature geothermal resources holds promise for generating virtually pollution-free electrical energy. Scientists at the Department of Energy's Pacific Northwest National Laboratory will determine if their innovative approach can safely and economically extract and convert heat from vast untapped geothermal resources. Air Force Office of Scientific Research-funded researchers at the University of Rochester are using laser light technology that will help the military create new forms of metal that may guide, attract and repel liquids and cool small electronic devices. NanoTecNexus and the University of California, San Diego NanoTumor Center (NTC) have received the 2009 Bronze Telly Award for the production of a video on approaches to fighting cancer using nanotechnology. Joint venture to create hundreds of high-tech jobs, expands upstate New York's nanotechnology industry. In a feat of trickery, Dartmouth Medical School immunologists have devised a Trojan horse to help overcome ovarian cancer, unleashing a surprise killer in the surroundings of a hard-to-treat tumor. A University of Missouri physicist has uncovered some clues about the basis of Einstein's theories and presented a more general approximation, which may better link quantum physics with classical physics. myExperiment, the social networking site for scientists, has set out to challenge traditional ideas of academic publishing as it enters a new phase of funding. This new book introduces significant developments that micro- and nanotechnologies have brought, and will bring, to the paper industry. Semiconductor Research Corporation (SRC), the world's leading university-research consortium for semiconductors and related technologies, today teamed with the National Science Foundation (NSF) to announce funding of $2 million in new supplemental grants for nanoelectronics research. 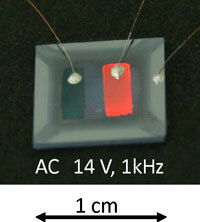 Hiroshi Takashima and coworkers of the Superconducting Devices Group of the Nanoelectronics Research Institute, National Institute of Advanced Industrial Science and Technology (AIST) have developed red electroluminescent devices using thin-films of chemically stable perovskite oxides. U.S. Senator Jeff Bingaman has announced that the UNM Nanoscience and Microsystems (NSMS) Graduate Program has been awarded the highly competitive grant to provide fellowships for Graduate Assistance in Areas of National Need (GAANN). It's back! The American Chemical Society (ACS) Web community site for nanoscience and nanotechnology researchers and enthusiasts - ACS Nanotation - has launched a second installment of the NanoTube video contest that became an Internet sensation a few months ago.